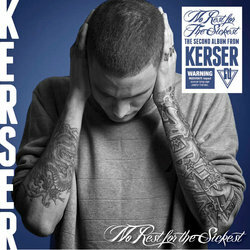 Kerser first gained notice in his home suburb of Campbelltown as a battle emcee. After a battle with ARIA award winning pop rapper 360 went viral on YouTube, new fans were won over by the emcee’s rebellious ways. Joining forces with production don Nebs, the two injected epic club beats into a unique brand of hip hop. Inspired by long players including Fabolous, The Game, 2Pac, Eminem, TI, Little Wayne and Dr. Dre.